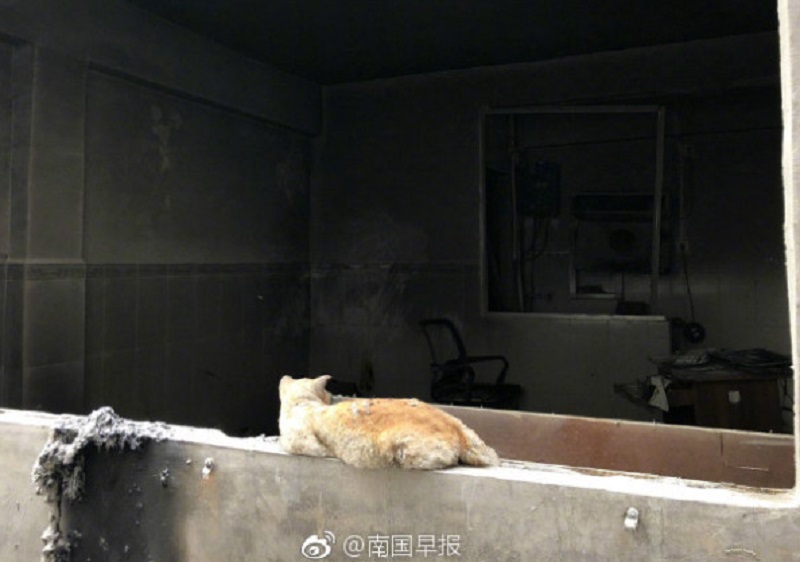 A heartbroken cat in China was found apparently mourning the loss of its d e‌a‌d owner while watching over their home des‌tro‌yed by a gas ex‌plo‌sion. 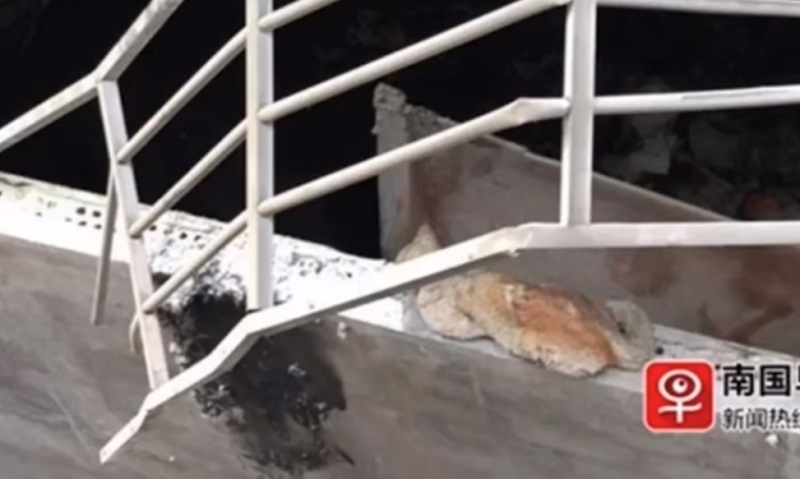 The grieving pet belonged to a 27-year-old man who jumped off the building after his seventh-floor apartment in Changgang Village, Nanning, exploded in the early hours of June 15, according to Nanguo Morning Post. While it was confirmed that 16 people were in‌jur‌ed in the explosion, local aut‌hor‌ities are still investigating if the man had actually been ki‌ll‌ed. 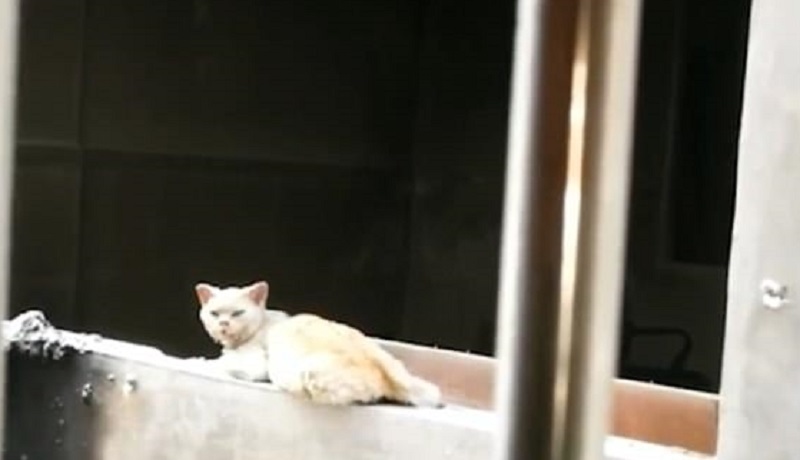 Four days after the explosion destroyed the home, people captured images of the cat sitting on the balcony of the apartment. 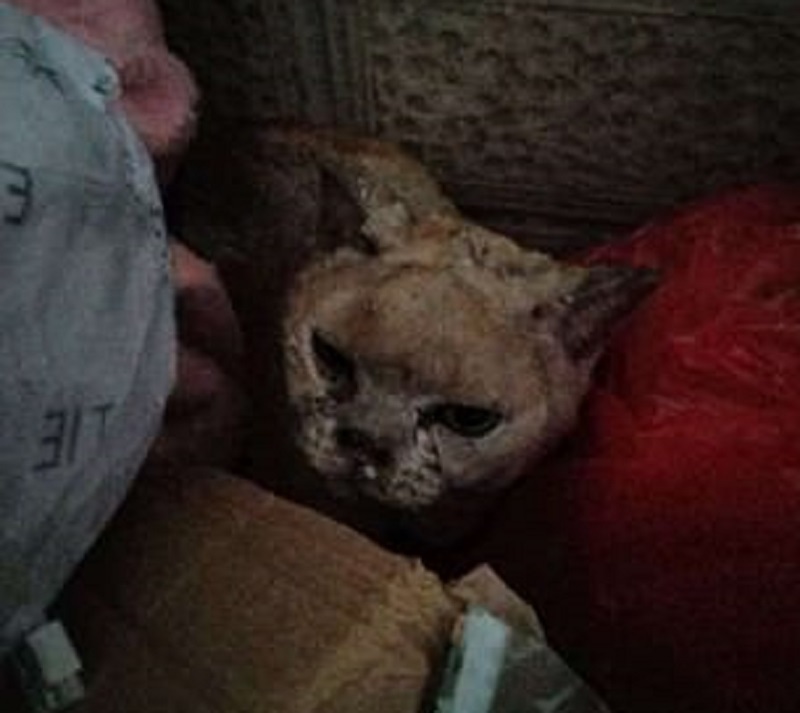 The cat, which was severely injured by the blast, refused to leave the apartment, seemingly waiting for its owner’s return. Images of the sad cat staring at the empty apartment soon emerged on Chinese social media and have been widely shared by netizens. 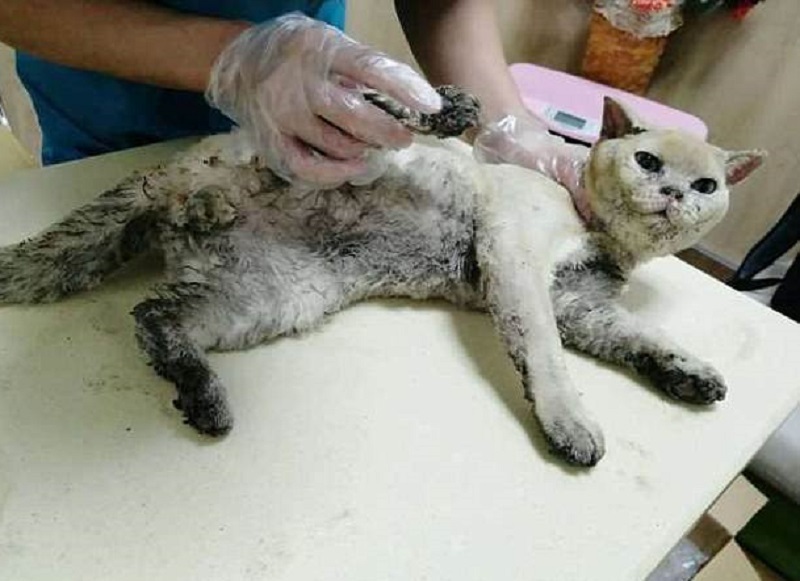 Touched by the heartbreaking scene, volunteers reportedly brought the cat to local animal rescue group Nanning Stray Cats to have its burn wounds treated. 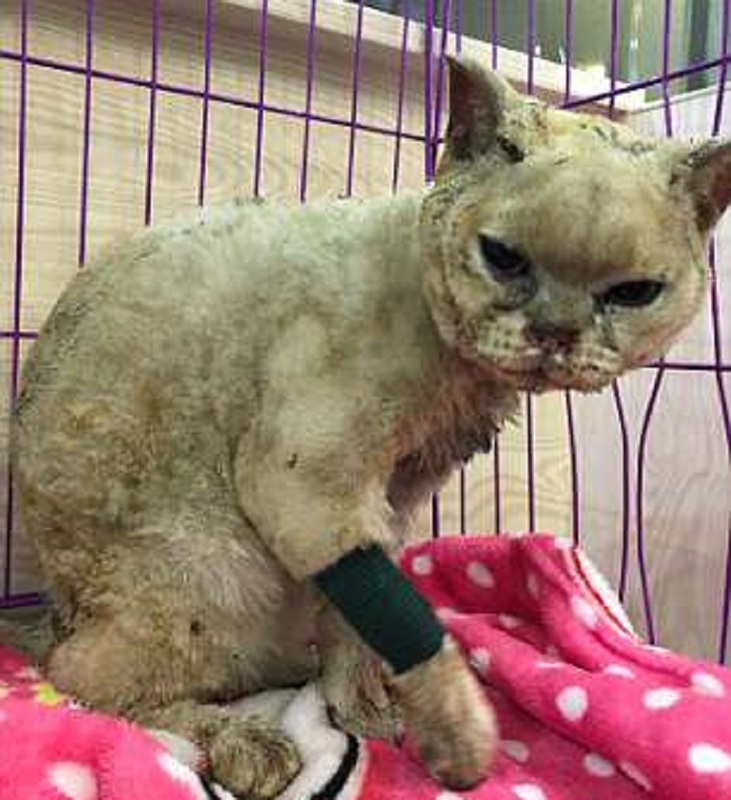 The group, which renamed the cat “Enong,” wrote in a social media post that the cat s‌uff‌er‌ed from multiple burns on its nose and four limbs, MailOnline reports. 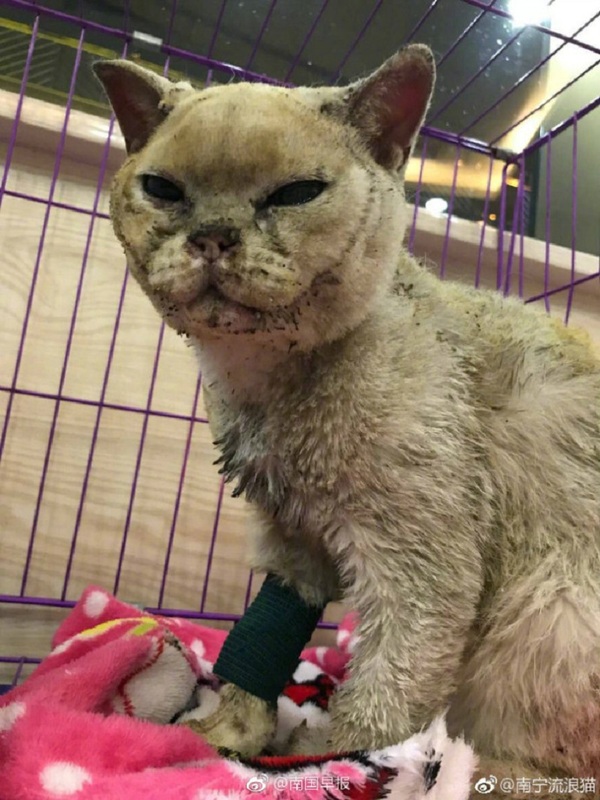 According to the veterinarian who treated Enong, it also had severe dehydration and lung infection from inhaling too much smoke during the blast. Enong’s temporary shelter hopes to find it a new home after it gets well again.